Home » Featured » Snow and Ice for Southern and Eastern U.S. 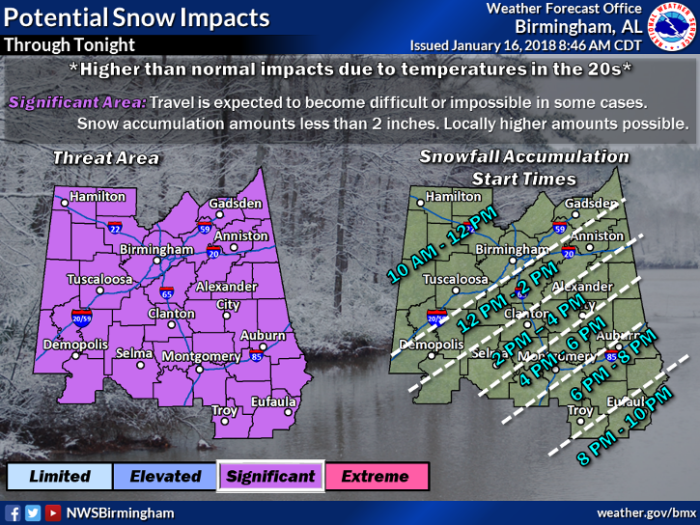 Significant travel interruptions continue across much of the southern and eastern United States today as a strong winter storm system brings cold temperatures, snow, and ice. Winter weather alerts stretch all the way from Texas to Maine. 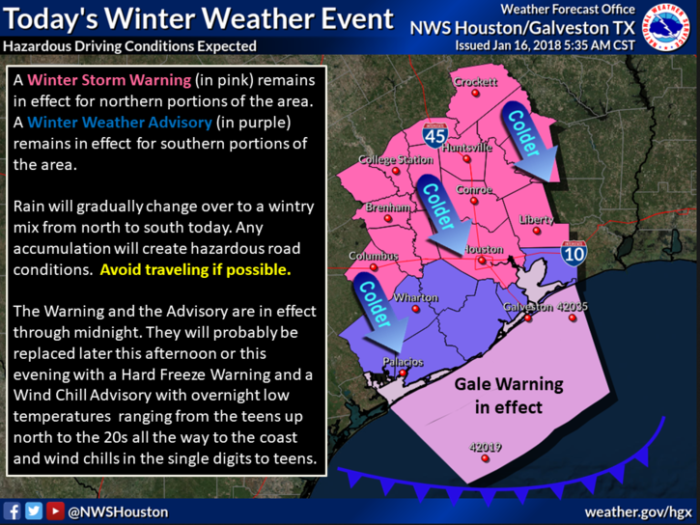 Road conditions are also a main point of concern in Houston where a Winter Storm Warning is in effect. 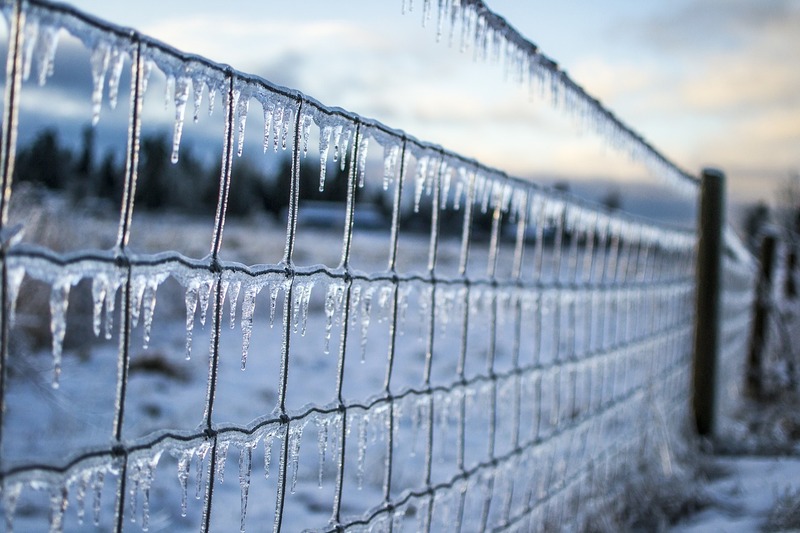 Parts of southeastern Texas could get up to 0.1″ of ice accumulation. Travel is not advised today. Snow is also likely today in parts of the Tennessee Valley, the Mid-Atlantic, and the Northeast. The Boston area is under a Winter Storm Warning and could get 5-7″ of snow through tomorrow.